On Thursday, October 19, 1944, at 4:30 am, a large British military force surrounded the Latrun internment camp. At 6 am, a list of 239 internees was read out. They were handcuffed, searched, and taken out of the camp without being permitted to take anything with them. Loaded onto trucks which formed a convoy, they were escorted by armored cars to the Wilhelma airfield. There they were joined by 12 inmates from Acre prison, who had arrived an hour earlier. The 251 detainees were divided into 12 groups, and each group boarded an aircraft, accompanied by armed guards. When it became clear to the prisoners that they were being deported, they burst into a mighty rendering of Hatikva. The 12 planes flew to Asmara, capital of Eritrea; the following day the internees were taken from the airfield to their first place of exile in Africa - Sambel camp, two kilometers north of Asmara. The Mandatory government continued to exile persons suspected of terrorist affiliation. In all, 439 people were deported by the end of the Mandate. The Yishuv reacted with restraint to news of the deportation. The Jewish Agency Executive kept silent and the Vaad Le'umi responded with quiet protest. The Hebrew press did not take up arms, and 'Davar' (the Histadrut newspaper) wrote that if the underground was unwilling to abandon its separate path "it should not wonder at the fact that the Yishuv is reacting in this way". It will be recalled that in May 1944, about six months before the deportation, the Jewish Agency had resumed its collaboration with the Mandatory government and was once again informing on underground fighters and foiling Irgun and Lehi operations. Eight days after the deportation of the 251 fighters, the Yishuv was shocked by the assassination of Lord Moyne in Cairo, and cooperation with the British police, the so-called Season, was now overt and extensive. Sambel camp in Erritrea had served in the past as a recreation center for Italian fascist youth and the living conditions were no worse than in Latrun. But, despite the good conditions and comfortable climate, the internees suffered in the first few months from lack of clothing and everyday necessities, from the absence of books and religious articles. Two months after their arrival at Sambel, food rations were cut drastically. The move apparently stemmed from the general wartime shortage of food, but this fact did not appease the prisoners, who launched a partial hunger strike. Several weeks later, the rations were restored to their former size. On January 21, 1945, three months after their arrival in Eritrea, the internees made their first escape attempt. The weak spot was the sports ground outside the camp, which was open to the internees all day, but locked in the evening and unguarded all night. The rain had created a trench in one corner of the sport ground, which was the inmates excavated further. On the day of the escape, Benyamin Zeroni, Haggai Lev and Shimon Sheiba hid in the trench and covered themselves with soil. When the sports ground had been locked and darkness fell, they emerged from their "tomb", climbed the fence and headed for Asmara. They spent the first night in a field near the town and the next day boarded a bus and asked the driver to let them off at the synagogue (there was a Jewish community in Asmara, consisting of fifty families of Yemenite origin). There they met Haim Gamliel, who gave them money, and hid them in his house. The aim of the three fugitives was to reach Ethiopia. Near the border, a local patrol checked the identity of the passengers; the three came under suspicion, and were handed over to the British, who returned them to the camp and imposed a month's solitary confinement on them. Three days after the escape the internees were evacuated from Sambel and taken to Massawa port. There they were put aboard an Italian vessel and, under intolerably crowded conditions, transferred to Carthage in the Sudan. The internment camp at carthage was located in the heart of the desert and endured a harsh climate. Water was in short supply - drinking water was transported in scant quantities by car from dozens of kilometers away. The piped water was salty, and its consumption restricted. Khartoum, the nearest town with a military hospital, was 600 kilometers away. Carthage was much tougher than Sambel in terms of accommodation, sanitation and climate. In addition to the problem of poor nutrition, a controversy raged on the issue of kosher food. At the beginning of November, 1944, the authorities cancelled the supply of kosher meat which they had been purchasing from the Jewish community in Asmara, and offered instead canned non-kosher meat from British army rations. The internees launched a protest against this change, which offended both the religious and secular alike. Echoes of the protest reached Palestine, and the chief rabbinate, with the aid of the Jewish Agency, appealed to the High Commissioner to send a rabbi and a ritual slaughterer (shohet) to the camp. On March 15, Rabbi Yaakov Shraibom and the shohet, Rabbi Rosenberg, reached the camp. They were housed outside the fence and were permitted to come and go at will. Their free movement was exploited by the interneess to get information from, and establish contact with, the outside world, which was vital to their escape plans. On September 26, 1945, three Irgun members (Yaakov Yundof, Yaakov Meridor and Shimon Sheiba) left the camp concealed in a tanker which had brought in water. The driver, who had been bribed, brought them to a spot close to the railroad station, and left them there. They spent the night in a field, and the next day boarded a train for Port Sudan, where they planned to rent a boat to take them to Aqaba. They posed as Polish intelligence officers working for the British, and were equipped with wooden revolvers (which looked just like the real thing) and forged documents. Their comrades in the camp covered their escape and hindered the search after their absence was discovered. As was customary in internment camps, all the inmates were counted every evening. The count was not conducted simultaneously in all the huts, but consecutively. The interval between the counts enabled three inmates to slip out of a hut which had already been inspected, and to be counted again in other huts. They moved from hut to hut through windows whose bars had been sawn through in such a way that they could be lifted out and replaced without detection. The escapees reached Port Sudan as planned, and spent three days searching for a vessel which would transport them to Aqaba (the Irgun General Headquarters had sent them a considerable sum of money). However, they aroused the suspicion of the hotel owner where they were staying, and were forced to leave. They contacted a Jewish merchant, but he was unwilling to risk helping them. They had no alternative but to travel to Khartoum by train. At one of the stations, British officers boarded the train and recognized them. On September 26, six days after their escape, they were handed back to the authorities. The internees spent nine months in the Sudan; on October 9, 1945, they were evacuated from Carthage and, after a four-day journey by train and truck, found themselves back at Sambel. 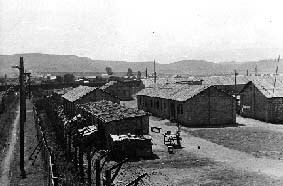 Two months later, 35 new internees joined them and were housed in a special camp several hundred meters from the veterans. On January 17, 1946, a dispute broke out between one of the internees, Eliyahu Ezra, and a Sudanese sentinel, resulting in Ezra being shot and wounded. The injured man was carried to the gate for transfer to the first aid station outside the camp. When the guards refused to let them out, the internees began banging on the gate, and fire was opened on them from all sides. Eliyahu Ezra and Shaul Haglili were killed, and 12 others were injured. Only then was the gate opened. The medical officer and several medical orderlies hastened to the aid of the injured, who were then taken to a military hospital. Ezra and Haglili were buried in the cemetery of the Jewish community in Asmara. The incident caused great agitation among the prisoners, who demanded that an external committee of enquiry be set up to investigate the events. The Yishuv, which was united at that time within the framework of the United Resistance, was in uproar. In contrast to previous occasions, the Hebrew press was unanimous in its demand for an investigation into the murder, and the return of the internees to Eretz Israel. The Irgun, as well as Lehi, refrained from initiating reprisals in order to avoid undermining the solidarity of the United Resistance. A month after the return to Sambel, on November 10, 1945, four internees (Yaakov Gurevitz, Benyamin Zeroni, Eliyahu Lankin and Rahamim Mizrahi) escaped at night via the unguarded sports ground. Their objective was to seek out escape routes for a larger group, which would break out by digging a tunnel. Two months after their escape, on January 13, 1946, Gurevitz and Zeroni set out by bus for Ethiopia. They were disguised as veiled Arab women, and were accompanied by a Jew who lived in Asmara and posed as an Arab travelling with his two wives. At one of the Ethiopian border towns, the three entered a hotel to rest, but aroused the suspicion of the bellboy, who summoned the police. The three men were arrested and interrogation revealed their true identity. The British asked the Ethiopian authorities to extradite them, but encountered objections. After seven months of negotiations, they were finally handed over and sent back to Sambel. Eliyahu Lankin, who set out in mid-June (about six months after the escape) from Asmara to Addis Ababa, was more fortunate. After five adventurous months he reached Djibouti by plane and on January 7, 1947, sailed aboard a French boat to Marseille and from there travelled to Paris. Lankin was the first escapee to succeed in reaching his destination. Rahamim Mizrahi remained in Asmara, where he tried to create suitable conditions for the absorption of the large group scheduled to escape via the tunnel. 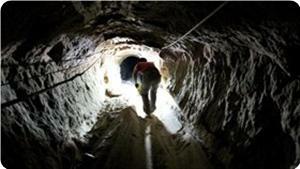 The inmates spent five months digging two tunnels: the first 32 meters and the second 70 meters long. Both had a diameter of 45 cm, sufficient for a man to crawl through. The work was carried out in three shifts, and two-thirds of the internees took part. The problem of disposing of the sand was solved by packing it in cloth bags and scattering it during the exercise walk in the sports ground. The excavation created numerous technical problems, such as introducing an electrical wire for illumination, supports for the roof to prevent a cave-in, ventilation etc. However, the main problem was how to conceal the work in the tunnel from the camp guards, who conducted routine checks of the huts. The internees managed to overcome all these obstacles and on Saturday night, June 29, 1946, they were ready for action. That evening, 54 inmates escaped from the camp in two groups: 30 through the large tunnel, and 24 through the smaller one. The two groups emerged from the tunnels equipped with maps, and knapsacks packed with food and first aid kits. The larger group was disguised in British army uniform - sewn by the inmates, who scrupulously copied every detail, from insignia to rank. The "soldiers" took over an Italian bus which was returning soldiers to the camp, and drove off towards the Ethiopian border. An engine problem forced them to continue their journey on foot, and the following day they were discovered by armed villagers and handed over to the authorities. The second group, in civilian clothing, succeeded in reaching a pre-designated hiding place in Asmara. For three months they sought further escape routes, but all their attempts to leave Asmara were unsuccessful. Finally, on September 24, their hiding place was surrounded by British security forces, and the last escapees were returned to the internment camp. The prisoners made further escape attempts, but all ended in failure. As a result of these attempts, which greatly embarrassed the camp command and army headquarters in Eritrea, the British government decided to transfer the prisoners to Kenya. On March 2, 1947, all the internees were evacuated from Sambel, loaded onto trucks and transferred under heavy guard to Massawa port. There they boarded a ship and sailed to Mombasa, Kenya, under conditions of intolerable heat and overcrowding. From the port they were taken on a twenty-hour train journey in freight cars to the internment camp at Gilgil. Gilgil camp had been used in the past as a jail for soldiers serving sentences for criminal offences and the living conditions and sanitation were very poor. There were no windows in the dormitories, apart from a tiny barred aperture under the roof, and the sewage conduits were open and crisscrossed the camp. The climate was harsh and mosquitoes swarmed everywhere. The internees refused to accept the situation and some two weeks after arriving, they rebelled. They tore openings in the walls and covered the sewage conduits with stones which they had removed from the walls. The camp commander subsequently improved conditions and the camp became tolerable. The British authorities hoped, vainly, that the remote location of the camp would preclude escape attempts. Shortly after their move to Gilgil, however, the prisoners began to excavate a tunnel and made various further attempts. The last successful escape took place on March 29, 1948. During the evening, six inmates (Yaakov Meridor, Nathan Germant, Reuven Franco and Yaakov Hillel of the Irgun, and Shlomo Ben Shlomo and David Yanai of Lehi) crawled through an eighty-meter tunnel and emerged on the other side of the camp fence. They proceeded towards their meeting place with "Wilson" (one of the two emissaries who had come specially from South Africa to help them), who was waiting for them in a rented car. They crossed the border to Uganda with passports brought from South Africa and, after a short rest, approached the Belgian consul for visas to Belgian Congo. From there they flew to Brussels, arriving two days later. Lengthy imprisonment anywhere, but especially in a remote location, can cause physical and emotional illness. In order to preclude these, the internees began, from the very first days of exile, to organize social and cultural activities. A library was set up, which in Gilgil contained some three thousand volumes. A daily newspaper and a philosophical and literary journal were produced. Various courses were held, and lectures given on literature, the natural sciences and contemporary affairs. Many of the internees took correspondence courses at secondary and university levels, most of them at British institutions, and studied economics, law, accountancy and even architecture and engineering. In addition to their academic pursuits, the detainees played sport and exercised. From the diverse activities mentioned in my letter, you could gain the impression that we are living in a paradise. Nonetheless, I pray to the Lord above to take pity on me and send me Eve, so that I can sin and be banished from Eden. "This is the captain speaking. We have been sent to greet the exiles who are returning home. From now on, you are free citizens of the State of Israel".